Last seamount season of the year. "Well little slower than our last trip to the seamounts, we did a little fly fishing and we did not catch what we saw. In two days we raised 8 blues and 2 striped marlin. 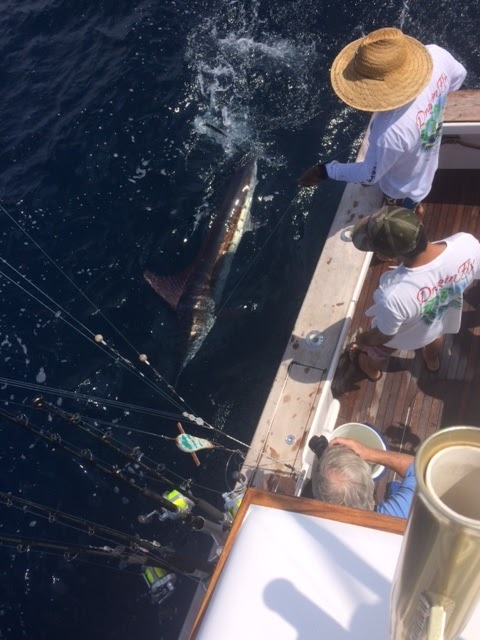 Total catch for the trip was 1 blue marlin and 2 striped Marlin on conventional tackle and 2 sailfish on Fly Rods plus 4 nice yellowfin tuna and a lots of mahi, at least 25 of those guys" ----Capt. james. 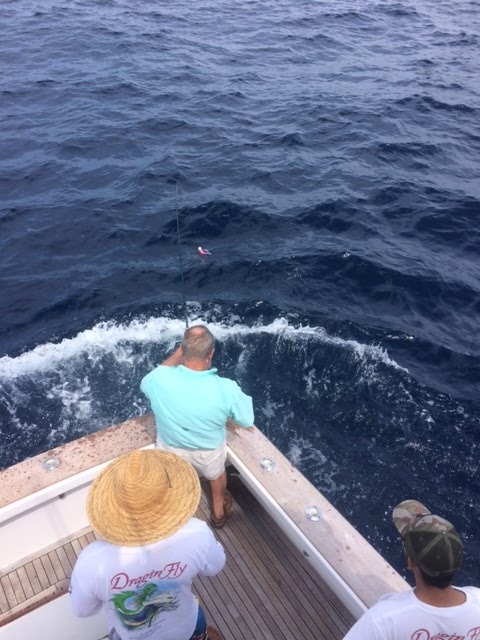 One of the reasons these short trips to the seamounts can often be a bust, we recommend at least two FULL fishing days and that was a good plan for the crowd just returning. Just got back from a quick trip to CR, I did manage to fish one day. It rained for a day, was cloudy one day and beautiful, slick calm and clear skies the last two days. Perfect green season weather. The water was a little green but the dorado fishing was good, also the tunas were really biting. Countless strikes on top water with 50+ pounders airing out on flying fish all around. We caught all we wanted but my day was over after this one bottomed out the bogagrip and my arms. 65# braid, 80 pound flouro leader and all I wanted on a spinning rod.